\April is the month of Aries, fiery, impatient, impulsive, in a hurry, the adventurer, full of energy and enthusiasm and quick to anger. Aries is the first sign of the zodiac, representing the self and is naturally self-centered, which I don’t mean as a negative. The Aries opposite is Libra and naturally other-centered, which isn’t always a positive either. I hope many of you got some good laughs on April Fools day. It used to be one of my favorite days. My BFF for 30 years, who passed 3 1/2 years ago used to “get me” every year with some pretty creative jokes. I was her Charlie Brown and she was my Lucy. The only problem is a square to “play it safe” Saturn in responsible Capricorn (20 degrees) putting on the brakes and needing more information about ramifications and consequences. A square to Pluto, also in Capricorn (23 degrees) indicates a need to address a hidden situation or motivation. If there is a complex power issue involved, it may be necessary to rebalance relations. Although we may get bored waiting for the results we’re hoping for, we only need to be ready for when the moment is right. A harmonious trine to Jupiter in Sagittarius (24 degrees) brings optimism, hope and expands our perspective. The next major happening in the month is on Wednesday, the 10th when Jupiter is the first of three planets to begin the retrograde, or apparent backward journey this month. For the next 5 months Jupiter moves backwards in Sagittarius (24 degrees). The next five months may bring about some of our hopes and plans that began at the New Moon. On Tuesday, the 16th, Mercury, planet of communication moves into Aries. Till May 6th Ideas and reactions shoot out like a pitching machine. The Full Moon, when the Sun and Moon are exactly opposite in the sky is in the early morning Friday, the 19th. And that would be Aries and Libra (29 degrees). This is the peak of the lunar cycle. Any issues concerning “self & other” are likely to also be peaking at this time. There is always an emphasis on completions at the Full Moon. And the critical last degree of the lunation (29 degrees) indicates an even stronger urge to get something finished. Libra is all about equality, harmony and balance. Anything standing in the way of that goal may now need to be addressed. The Moon moves quickly into Scorpio and opposes rebellious Uranus, as the Sun moves into Taurus and meets with Uranus (2 degrees). Uranus always accelerates whatever activities are going on and reminds us that each individual is unique. I do hope with all this excitement there’s also some fun happening on this holiday weekend. 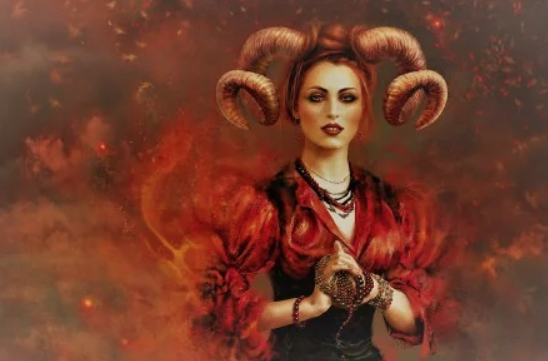 Venus, planet of sociability follows Mercury into Aries also on Saturday, the 20th, so we can expect high energy and lots of connecting over this Easter weekend. Venus will be in Aries till May 15th and we can bet this spring will keep us socially active. Easter Sunday, when many of us will be with family and friends is all harmonious trines, as well as action packed with all fire signs. The Moon in Sagittarius aspects Venus (1 degree), encouraging positive connections, and Mercury (6 degrees) both in Aries, inspiring enlightened conversations. Appropriately Earth day falls on Monday, the 22nd, just after the Sun has moved into earthy Taurus. Try to get out and celebrate nature and the wonderful physical universe we are blessed with. On Wednesday, the 24th, the second planet Pluto begins its retrograde period in Capricorn (23 degrees). Many of our changes and transformations will be more internal with external manifestations happening in the fall. It’s an opportunity to look inside for our unique and individual power and connection to the Divine. The last planet to begin its annual retrograde period is Saturn, also in Capricorn (20 degrees) on Monday, the 29th. Till September 18th our chore is to get ourselves organized mentally and physically to be prepared for whatever the future may bring. And whatever this month brings, greet it as a blessing and find some positives. If life is hard at this time, you may not be able to jump to joy, but find thoughts that bring relief, a little better, and a little better. Make it a good month.